Difficulty: Easy for most of the walk. Belomore Falls in located in Morton National Park. It’s quite a spectacular waterfall with a drop of approximately 78m. 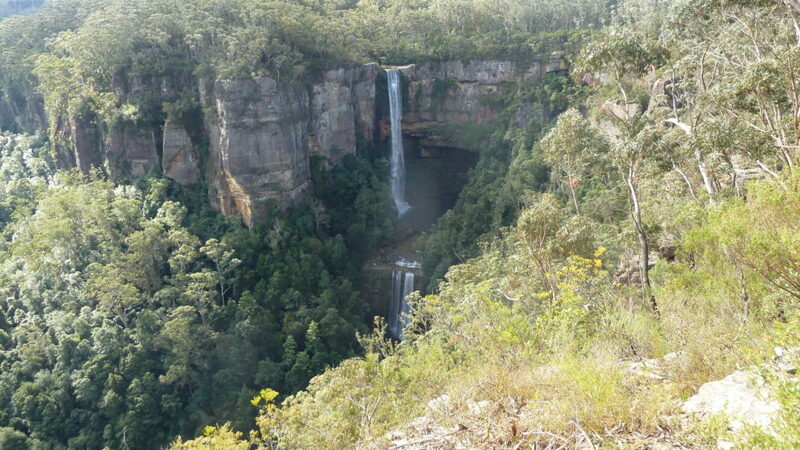 The is a short bushwalks which includes 3 lookouts. The walk is around 1.8km and isn’t all that difficult. You need to drive on a dirt road for a short distance. The road was well graded when I went so it wasn’t really an issue. Though the car needed a good wash at the end of it. Morton National Park is home to three awesome waterfalls. Fitztroy, Carrington and Belmore falls. Google Maps Link. The google maps link with open your google maps application and give you directions to Belmore Falls in the Morton National Park. You’ll go along Belmore Falls Rd, Robertson. Youtube clip of Belmore Falls bushwalk.